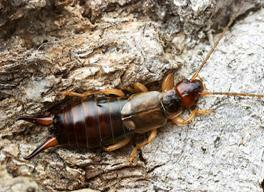 Listed below are some of our most common occasional invaders. 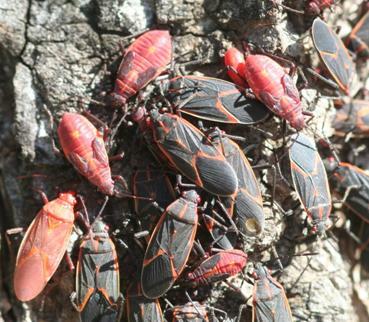 Others such as ants, spiders, rats and mice are not included here, but are discussed in other Department fact sheets at: http://www.idph.state.il.us/a-zlist.htm#pests . 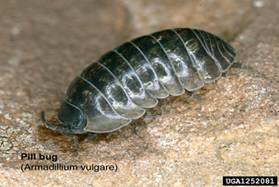 While millipedes don’t have a thousand legs as the name suggests, they do have two pairs of legs per body segment -- distinguishing them from centipedes which have one pair per segment. 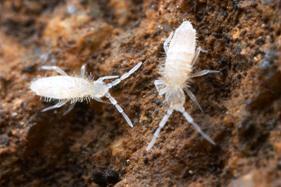 Both creatures typically have 30 or more pairs of legs, are light brown to black in color, and about an inch long. 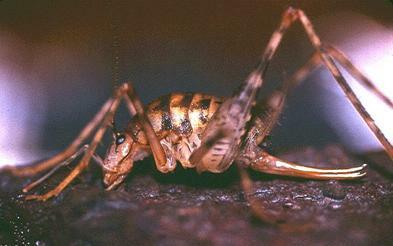 A different sort of cricket is the cave or camel cricket (Ceutophilus spp. ), named for inhabiting caves and cave-like places such as damp basements and crawlspaces, and for its arched, humpbacked body. 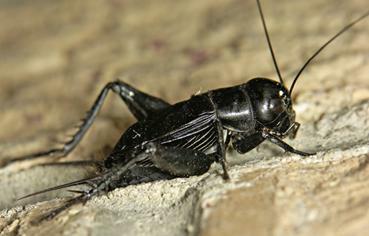 Unlike house and field crickets, cave crickets are brown, wingless, and do not chirp. 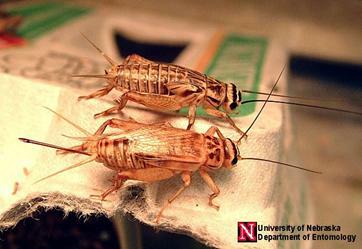 These large, brown crickets have long antennae and spindly legs sometimes described as spiderlike. 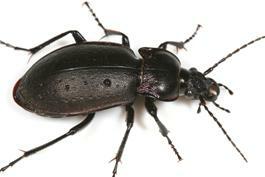 There are several home-invading species; round or oval-shaped beetles, about one-fourth of an inch long, yellow to red in color with black spots. 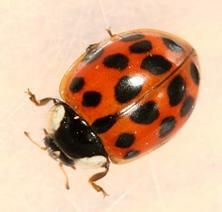 One native species that often enters homes is the spotted lady beetle (Coleomegillafuscilabris). 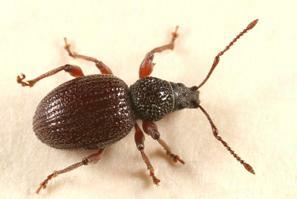 It is an oval, pinkish-red beetle, usually with 10 black spots. 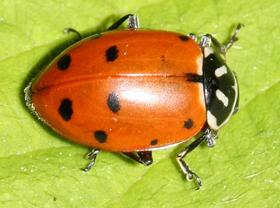 The convergent lady beetle (Hippodamia convergens) is commonly sold as a biological control agent for release in gardens, though often ineffective due to its habit of migrating from the release site. 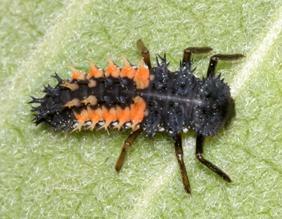 Adults are up to one-fourth of an inch long, yellow to orange in color with up to 13 black spots, and white lines that converge behind the head. 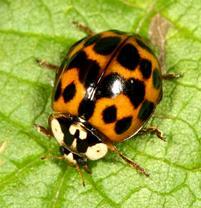 Besides being colorful and considered cute, lady beetles are beneficial because they consume large numbers of injurious plant pests including aphids, mealybugs and scale insects. 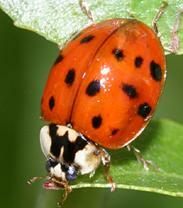 The Asian lady beetle (Harmoniaaxyridis) was thought to be of such value as a predator that it was collected in Asia and introduced across the United States over many years to control pests in orchards and other crops. 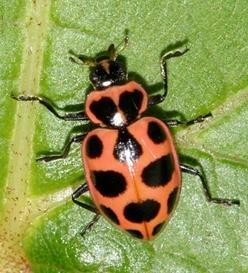 While it has done its share to save valuable crops, it also invades structures each fall in greater numbers than those of native lady beetles. 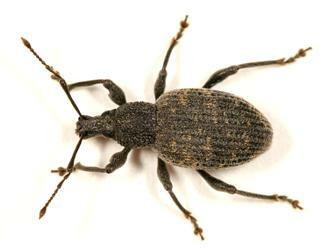 Strawberry root weevils (O. ovatus and O. rugosotriatus) are dark brown to black with reddish-brown legs and antennae. 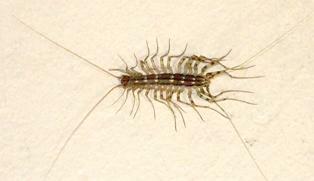 Adults are about one-fourth of an inch long. 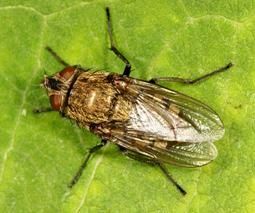 They feed on evergreens, fruit trees, strawberry, rhododendron, rose and other plants.